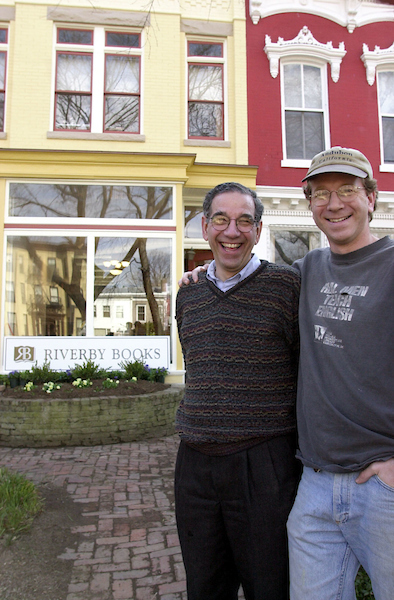 The closing of Riverby Books’ Capitol Hill location brings with it all the hallmarks of the great literature that animated its business: a sense of place, change, ambiguity and loss. “I love the way it looks. I love the way it feels. I have a lot of memories here. It’s a neighborly place,” owner Paul Cymrot said of what he will miss most about the store he opened at 417 East Capitol St. SE in 2001 with his father, Steve. The decision to shut down at the end of the year was not an easy one, he said. 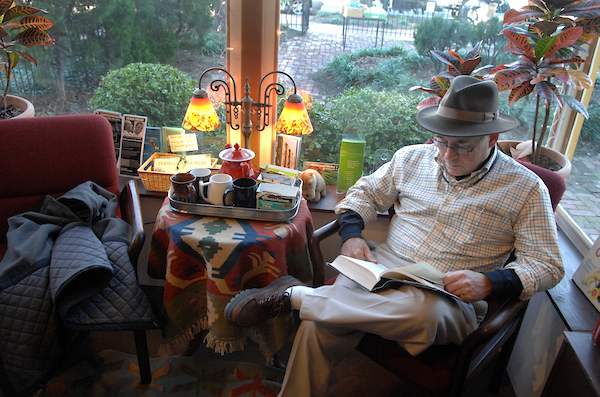 The family launched its first bookshop two decades ago in the colonial- and Civil War-steeped city of Fredericksburg, Virginia. That branch will stay open. Riverby has always been a cozy spot to gather on Capitol Hill, a place to drink tea in the afternoon, plop down in the orange chair (procured from the D.C. living room where Cymrot grew up) near the window with the nice natural light, and enjoy what Riverby mainstay Marcel Proust would call lost time. “It’s a place for people to be invisible,” Cymrot said, pointing to the nooks and crannies shaped by the bookshelves he built himself. So why close? According to Cymrot, he still doesn’t have one or two easy sentences at the ready to explain it. The next October, the Capitol Hill location reopened, with a new manager, Lori Grisham, who knew the family and had worked at the Fredericksburg store. “The other day I read an old New Yorker article from 2012 that said independent bookstores are reflections of the people who own and work in them. I think that’s very true of Riverby,” Grisham said at the time. Leah Daniels, the owner of nearby Hill’s Kitchen, voiced a similar sentiment. “The point of Riverby, and honestly, the point of Hill’s Kitchen, through Steve, is community,” she said. A Capitol Hill native who worked at Riverby from 2002 to 2008, when she left to open her kitchen store, Daniels said she owed her business philosophy to Steve Cymrot, who hired her all those years ago. The difference between a neighborhood business and others, Daniels said, is a relationship between customers and proprietors that is rooted in shared experience, location and community. “It’s not just transactional,” she said. Closing up shop is not a financial decision, Cymrot said, because the business is still doing well. Nor is it a solely personal one, although the loss of his father is still palpable. The connection to Capitol Hill, though, is not likely to fade anytime soon. This is where he grew up (with the orange chairs), where his mother, Nicky, still lives and oversees the family real estate business. The Capitol Hill Community Foundation, which the Cymrots co-founded, is headquartered next door to Riverby. But the store’s connection to Congress and Washington’s political class will end. Among the Capitol Hill location’s features was a refuge for congressional ephemera and antiquarian books, be they the personal library of the late New York Rep. Edna Kelly, signed copies of local authors’ works, political campaign buttons and stickers, or original photos and planning documents for the capital city. What’s next for the storefront, which Nicky Cymrot owns, is yet to be determined. Another used bookshop, filled with memories and tomes of another time, is unlikely. 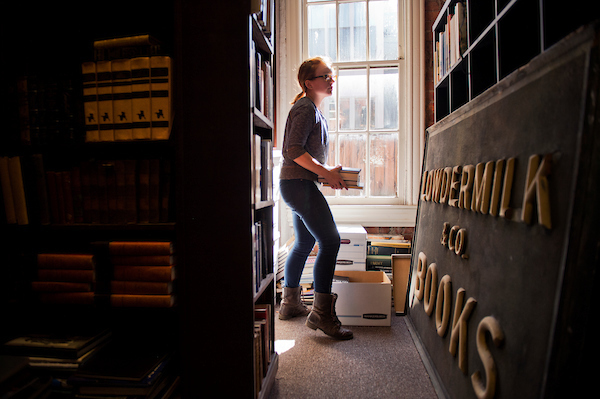 Any business — particularly a bookstore in an increasingly digital age — that lasts more than 15 years is not a tragedy, even if its demise leaves a hole in the neighborhood. “It’s hard for people to accept change, but not everything’s meant to last forever,” Daniels said, adding that she is sad about the closing but understands. For Paul Cymrot, reflecting on the many factors that went into his decision to close, there may not have been a singular reason, but it all came down to a singular decision. It was just time. As for the future? “I don’t know when the next off-ramp comes,” he said, an ending befitting Proust.